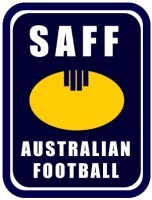 Ahead of next Round 6 round of the SAFF (Stockholm Australian Football Federation) 2018 season, a three-way battle looms for dominance heading to the finals series. The Södermalm Blues sit at the top of the ladder on three wins, as do the Solna Axemen and Norrtälje Dockers – each only separated by percentage. The only team sitting off the pace at this stage are the winless Årsta Swans. Whilst the Swans and the Blues have played one less game than the Axemen and Dockers to date, the makeup of final positions will be determined by the final round of the season. Next round the Axemen meet the Swans. The clash between the Blues and the Dockers has been rescheduled. For the top three teams, victory is essential. Top place after the regular season comes with the reward of an extra week off to prepare for the grand-final. For the Swans, they can still finish their season on a high, starting with an upset against the Axemen. It makes for a fascinating run to the finals in September with so much on the line. The finals will see a semi between second and third the weekend after the final round with the winner meeting whichever team finishes in first place the following weekend. The Blues will be keen to defend their title from last year when they downed the Axemen in the grand-final by 17 points. However, to do that they will need to keep the Dockers at bay in their next match. The Dockers, for their part, are on a high after back-to-back wins – including downing the Axemen – as well as basking in the thrill of having been named as the destination for the 2019 Euro Cup. They will be desperate to reach the final to keep their winning momentum going. In an even season where no team has remained undefeated, any result is possible. The Blues will be favourites to down the Dockers after the summer break and hold top position after defeating them comfortably earlier in the season and securing a grand final berth. However, the battle between the Swans and Axemen sees the Solna team strong favourites and a win will almost certainly see them contest the final. After that, anything is possible. The scene is set for an exciting finish to the SAFF season.